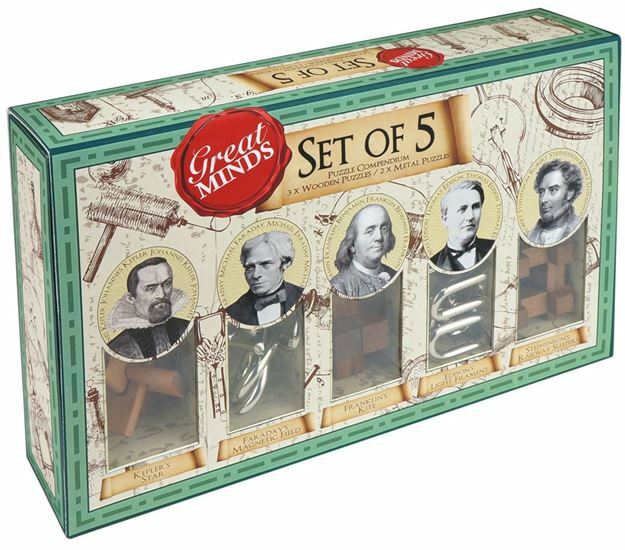 This challenging Professor Puzzle set features five puzzles to solve - 3 wood and 2 metal. Each puzzle is based on the science from a different great male mind. Includes: Kepler's Star, Franklin's Kite, Edison's Light Filament, Faraday's Magnetic Field, and Stephenson's Railway Sleepers. Age 6+ years. Distributed in New Zealand by Holdson.